Chinese regulatory agency TENAA has certified not one, but two new Gionee handsets. The GN9010 features a 5.5-inch display, carrying a 720 x 1280 HD resolution. Driven by an octa-core 1.3GHz CPU, the phone has 2GB of RAM inside, along with 16GB of internal memory. Those requiring additional storage can use the 128GB capacity microSD slot that is included. TENAA's documentation was unclear about the rear camera. It could be either an 8MP or 13MP shooter, with a 5MP camera in front. Just 6.9mm thin, the Gionee GN9010 weighs 145.2 grams, and supports 4G LTE connectivity. Android 5.1 is pre-installed. 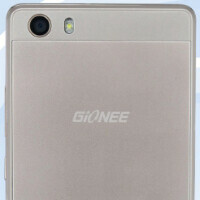 The Gionee GN5001 offers a 5-inch screen, with a 720 x 1280 HD resolution. A quad-core 1.3GHz CPU is under the hood. 2GB of RAM is inside, along with 16GB of native storage. A 128GB capacity microSD slot is available to those seeking more memory. The camera combo from back to front is 8MP/5MP. Ironically, while a smaller device than the GN9010, it is thicker (8.6mm) and heavier (188.5 grams). Supporting 4G LTE, the unit also has Android 5.1 pre-installed. As usual, TENAA has provided some photographs of the newly certified models. You can check them out by clicking on the slideshow below. Bet these will both end up being Blu phones. Both look like attractive devices. I wonder how it will affect battery life.